Over the past weeks, Sri Lanka has been swept by political turmoil. On October 26, the incumbent Prime Minister, Ranil Wickremesinghe, was sacked by President Maithripala Sirisena in a surprise decision that has been described as a constitutional coup. Wickremesinghe, who is largely viewed as India-friendly, was replaced by former president Mahinda Rajapaksa, a politician from a rural background with a pro-China political legacy. Sirisena shocked the nation by immediately suspending the parliament after the ousted prime minister declared his removal illegal and turned to the parliament to rally support. Since the political reshuffle, supporters of Rajapaksa and Wickremesinghe have taken to the streets of Colombo and other cities to voice their support or outrage. Two people have been killed so far as a result of the protests and many fear that the situation could spiral out of control, plunging the civil-war-torn country back into chaos. The political crisis has also sent shock waves outside of Sri Lanka, sounding alarms in Beijing and New Delhi. China and India both place strategic value on Sri Lanka, with the two countries jockeying for influence while spending considerable political and financial capital on the island. China has been more successful in swaying political, economic and social outcomes in its favor, a project which got under way as part of the larger Belt and Road Initiative during Rajapaksa’s tenure. The latter’s return to power could signal a renewed pivot to China by the Sri Lankan leadership. Rajapaksa’s presidency, from 2005 to 2015, brought the 26-year-long civil war to an end. Rajapaksa, however, has been accused of war crimes and corruption as well as leading the country into a Chinese debt trap. Desperate to resuscitate the damaged economy, Rajapaksa reached out to Beijing. Chinese state-owned companies were contracted to develop the port of Hambantota, strategically located at the heart of a busy shipping route in the southern part of Sri Lanka. Since then, China has poured in about $1.1 billion in the form of loans tied to infrastructure projects, but the debt burden of these projects has put further pressure on the economy. Without generating much profit and often running at a loss, Colombo was forced to hand over the operation of the port of Hambantota to Beijing’s control in return for debt relief. Therefore, many hold Rajapaksa accountable for growing Chinese influence in Sri Lanka. Such allegations, however, paint a warped picture of the facts on the ground. It is true that Rajapaksa’s policies ultimately favored Chinese interests, but that does not mean that his approach was by design intent on pleasing Beijing. In fact, before offering the Hambantota project to China, Rajapaksa first reached out to India asking them to sponsor development projects in the port. However, New Delhi declined the offer. Interestingly, it was Wickremesinghe’s government that leased the port of Hambantota to a Chinese state-owned company, yet public discourse blames the Rajapaksa government for offering Sri Lanka to China on a silver platter. Trying to establish rapport with his Indian counterpart, Wickremesinghe, in a spate of seemingly anti-China measures, promised India a stake in Hambantota airport, investment projects in ports and other infrastructure ventures in the Trincomalee region and closed Sri Lankan waters to Chinese submarines, a right granted to China by Rajapaksa. During his premiership, Sri Lanka and India have signed several memorandums of understanding (MoUs) to boost bilateral ties. According to one such MoU, India was given the right to develop a shipping terminal in the Colombo port. The document, however, did not specify which terminal would be given to India. The issue became a point of contention between the two countries as India was eyeing the eastern terminal while Sri Lanka offered the western terminal. The eastern terminal is strategically important because it is a deep port, potentially allowing for dual use facilities, while the western terminal lacks such advantages. A third terminal between the two is being developed by China. A few days before his recent trip to India in October, Wickremesinghe and the President Sirisena appear to have clashed over the issue, with Wickremesinghe demanding that the eastern terminal be given to India and the President refusing to agree. Upon his return from India, Wickremesinghe was sacked. The timing of this decision indicates an anti-India motive, fueled by rumors that Delhi was involved in a recent plot to kill the Sri Lankan President. The President, however, has cited disagreements over the economy as driving the decision as many critics have also argued that Wickremesinghe’s policies have bankrupted the country. In 2017, Sri Lanka’s economic growth slowed, falling to a 16-year low. Moreover, Wickremesinghe’s alleged mishandling and involvement in a fraud within Sri Lanka’s Central Bank further discredited his government. Rajapaksa has been quick to turn his attentions to the economy, presumably to reverse his predecessor’s perceived missteps and demonstrate his utility to Sirisena, formerly his bitter rival. He was simultaneously named Minister of Finance in addition to his prime ministerial portfolio, and immediately introduced a series of economic measures aimed at least in part at building popular support. Whether Rajapaksa’s return to power will translate into a resounding strategic win for China remains to be seen. India has major and long-standing interests in Sri Lanka. Rajapaksa himself has recently stated that Indians were his relatives and Chinese were his friends. Moreover, he promised to review the terms of the Hambantota lease to China if he was to become prime minister. 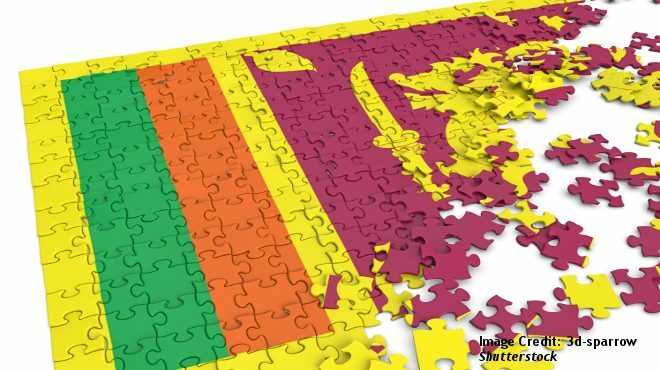 There can be no doubt about Colombo’s sovereignty, and a scenario in which the country becomes a Chinese or Indian colony remains firmly in the realm of alarmist fantasy, not political reality. Yet both Beijing and Delhi have shown themselves capable of projecting economic and political influence on Sri Lanka’s politics, albeit in a restrained manner. President Xi was among the first leaders to congratulate the newly appointed prime minister but Modi has so far given a muted response. China, however, has emphasized that it seeks to cooperate with India in Sri Lanka as it is in the interests of all three countries. While the geopolitical efforts and long-term strategies of Delhi and Beijing are not necessarily at odds with one another, competition over access to infrastructure and influence has the potential to trickle into domestic political rivalries. In Sri Lanka’s case, a parliamentary vote of non-confidence against the newly appointed Rajapaksa appears set to deepen the country’s political crisis. What the outcome of the struggle in Colombo will be will affect both Chinese and Indian strategic interests, but will primarily be felt by Sri Lanka’s citizens.